If you’ve ever had a bad experience at the dentist, you might have some anxiety when it’s time for your next appointment. In fact, you might find yourself avoiding the dentist altogether. Dental fears and anxieties often prevent patients from getting routine and necessary dental treatments, which can only make dental issues worse. So, can you still get the treatment you need without all the stress? Can you really relax at the dentist? Yes! Many dentists offer sedation dentistry to ensure a patient’s comfort during dental procedures. 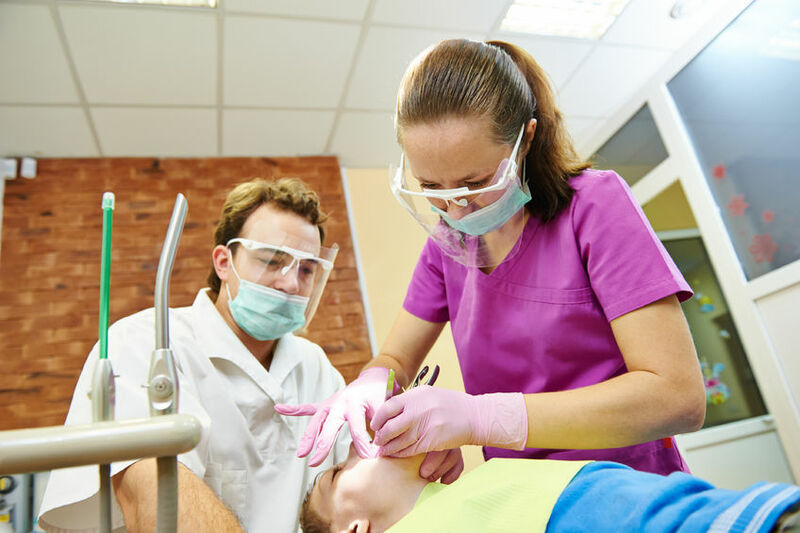 Dental sedation methods like nitrous oxide help patients feel comfortable and relaxed during treatment, which can help speed the overall treatment process. Laughing gas is administered through an oxygen mask and is inhaled during the procedure. The patient will remain conscious while taking laughing gas, but because it is a gas, it wears off quickly once you stop breathing it in. Your dentist can control the dosage throughout the treatment, so you remain comfortable and relaxed. Occasionally, patients fall asleep, but this is not dangerous, and they can be easily woken up if needed. Once the laughing gas has been turned off, patients typically receive oxygen for at least five minutes to avoid a headache. The oxygen helps to purge any remaining nitrous oxide gas from the lungs while aiding the patient in becoming more alert and awake after the procedure. Because laughing gas is a gas, it works quickly, and its effects are reversible. It is widely considered to be a safe sedation method for patients of all ages. Unless laughing gas is used in conjunction with another form of dental sedation, patients can drive themselves home after the procedure. While most patients do not experience any adverse side effects of laughing gas, some people do report negative side effects. They can occur if the nitrous level is too high or if the amount being inhaled changes too quickly. Side effects include headaches, shivering, fatigue, nausea or vomiting, and excessive sweating. For the majority of patients, laughing gas is a safe and effective sedation method. However, it may not be the right choice for everyone. Be sure to discuss your medical history with your dentist, especially if you have any of the following conditions: COPD, first trimester of pregnancy, a methlenetetrahydrofolate reductase deficiency, or a cobalamin deficiency. Additionally, if you have a history of emotional issues or drug addiction, laughing gas may not be recommended. Should I ask for laughing gas at the dentist? Laughing gas is widely accepted as the most safe and effective form of sedation at the dentist. If you experience dental anxiety or fears, ask your dentist if laughing gas might be an option for you. Of course, you don’t want to have to find out first-hand how laughing gas works, so practicing good oral hygiene now is a good way to prevent more extensive procedures that require sedation. Submit the contact form below or give us a call now to schedule an appointment.